I love cherry blossom trees - I think they are just the prettiest! So when I heard about the new Accessorize fragrance which is meant to capture the essence of Cherry Blossom as it blooms I was quite excited. Created by Azzi Glasser, a London based perfume designer (also responsible for the Agent Provocateur scents), the Accessorize signature fragrance takes its inspiration from Kitagawa Utamaro, the Japanese ancient artist, and is a sophisticated fresh floral fragrance with an oriental twist. Combining the essence of cherry blossom with the freshwaters of the East, the fragrance lifts off with top notes of bergamot, orange flower water, lychee skin and mandarin blossom. This is followed by jasmine, cherry blossom petals, peony flower, cassis, violet and rose absolute as the heart notes and finishes with a blend of crystal musk, vanilla flower and creamy amber as the base notes. It comes in one of the prettiest scent bottles and is adorned with delicate trailing cherry blossoms. 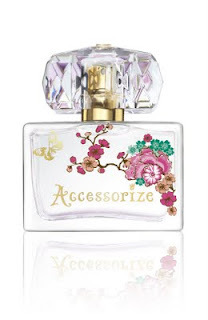 Priced at £17.50 for 50ml it will be available this autumn from Accessorize stores and online at www.accessorize.com. I wanted to have an accessorize signature fragrance too with my own on work. 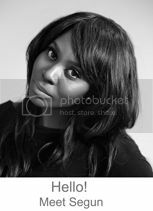 Its sounds very interesting for me.